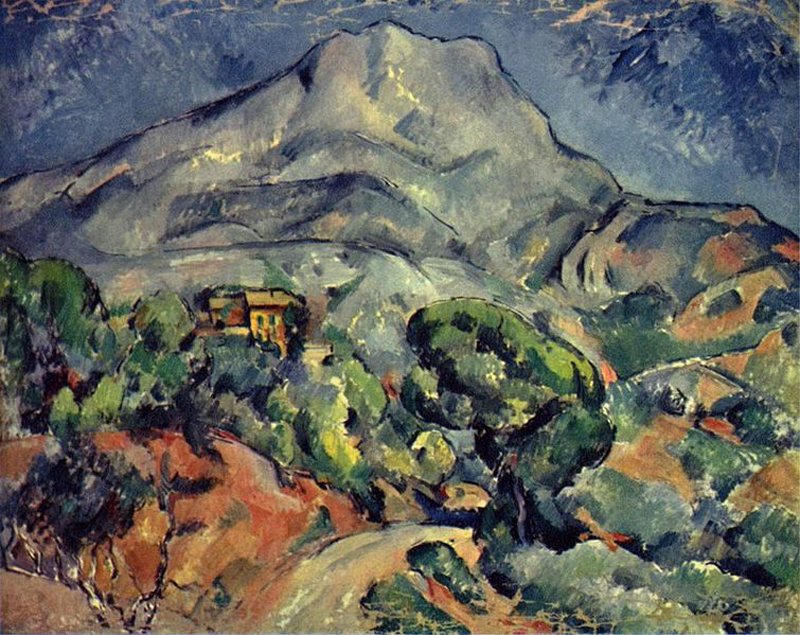 Monet had set to follow the traditions of the Barbizon School traditions, which are a group of landscape painters in the town of Barbizon. 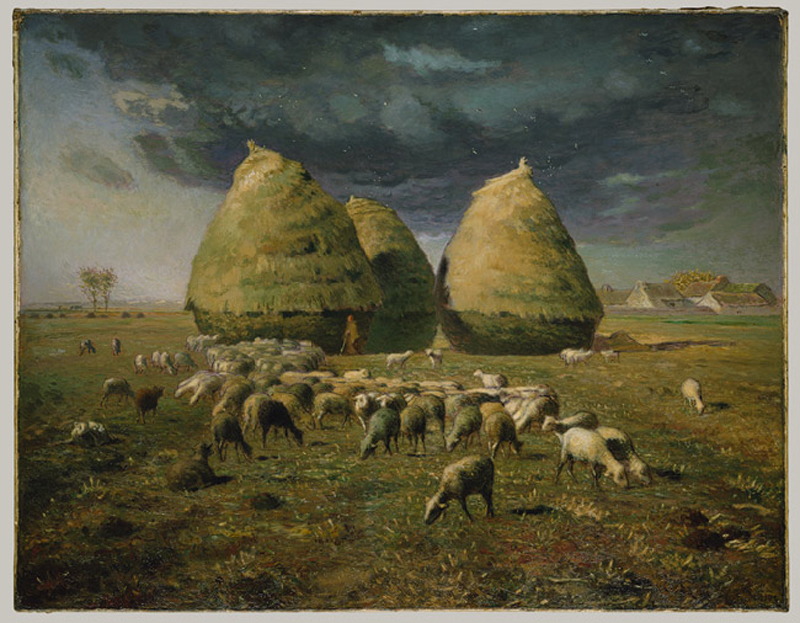 The best known painters from there are Jean-Baptiste-Camille Corot, Charles-Francois Daubigny, and Jean-Francois Millet. 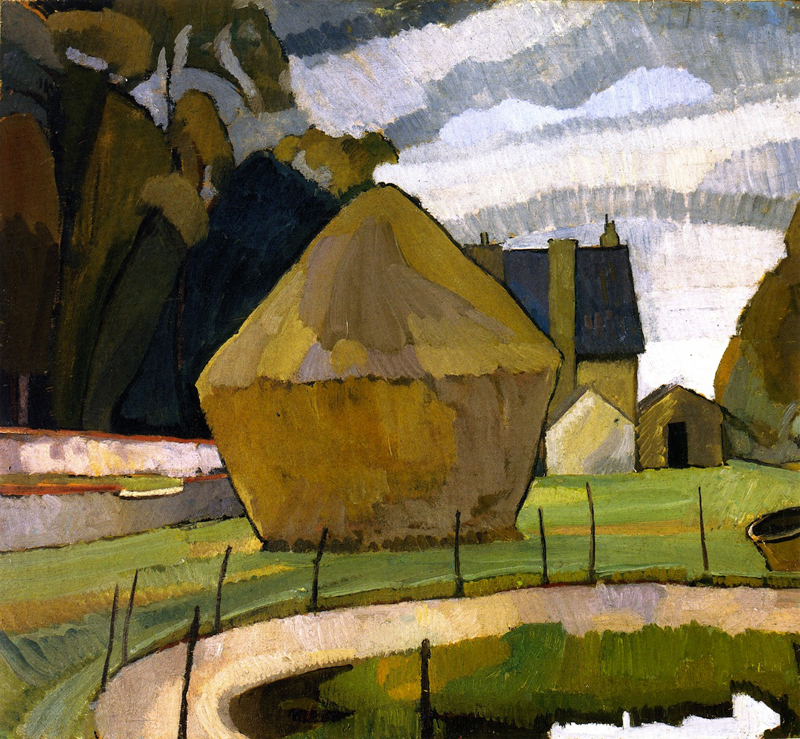 The Barbizon paid a lot of attention to details, working from outdoors, to the canvas in the studio. Monet had closely followed this practice by painting what they see and working directly from life without working out a sketch. Monet did the painting, and reworked a few areas once it was just about finished. 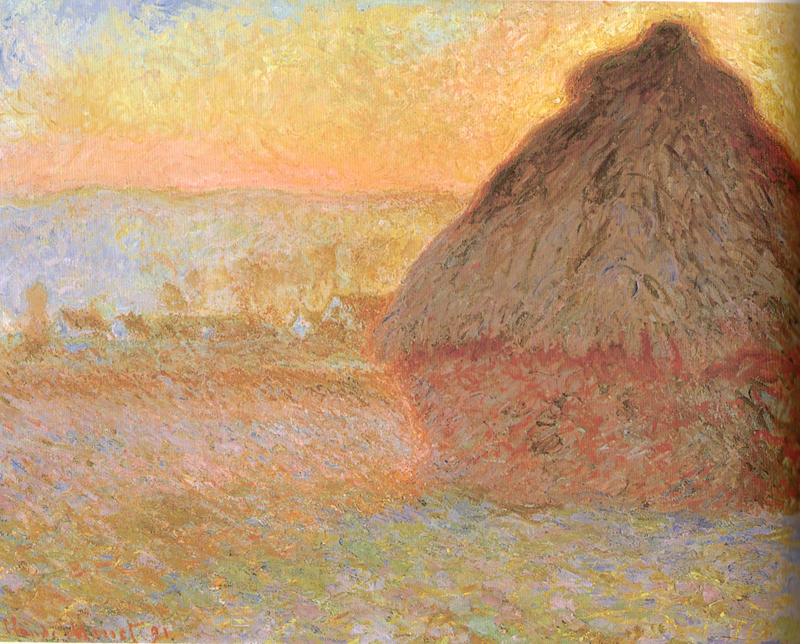 Though it is not as detailed as Millet's painting, it shows that Monet paid close attention to light and color and how those factors help shape the forms of the haystacks and everything around it.